Welcoming the new year at the beach may sound strange to a lot of people, but that is how we do it in most of South America. For us, December 31st is an invitation to wear light clothes and sip up slushy drinks, while waiting to eat the 12 grapes of good luck at midnight. It wasn´t until I moved to Europe, that I started spending the holidays wrapped up in many layers of clothing, sometimes close to a fireplace, and always with an imminent cold waiting to set in. It also wasn´t until I moved there, that I discovered the pleasures of drinking warm punches to catch a buzz and nurse a cold at the same time. I had been missing out on such a fantastic custom! I was first introduced to hot alcoholic beverages, in the shape of Hot Toddies, by my friend Magaly, who refused to stop partying away her New Years trip to Barcelona despite the shaky state of my immune system. I actually got better after a few glasses, which I considered miraculous as I didn´t sleep much those days. My second encounter was with my friend Vane, when we both fell in love with the Gluehwein sold in the streets of Berlin. You can imagine how happy I was when, reading through some of the recipes my mom was preparing for our upcoming book, The Everything Peruvian Cookbook, I discovered a hot Pisco recipe called Caspiroleta. Turns out this sweet and milky punch is very traditional in Ica, a southern town of Peru, and dates back to the Spanish colony. 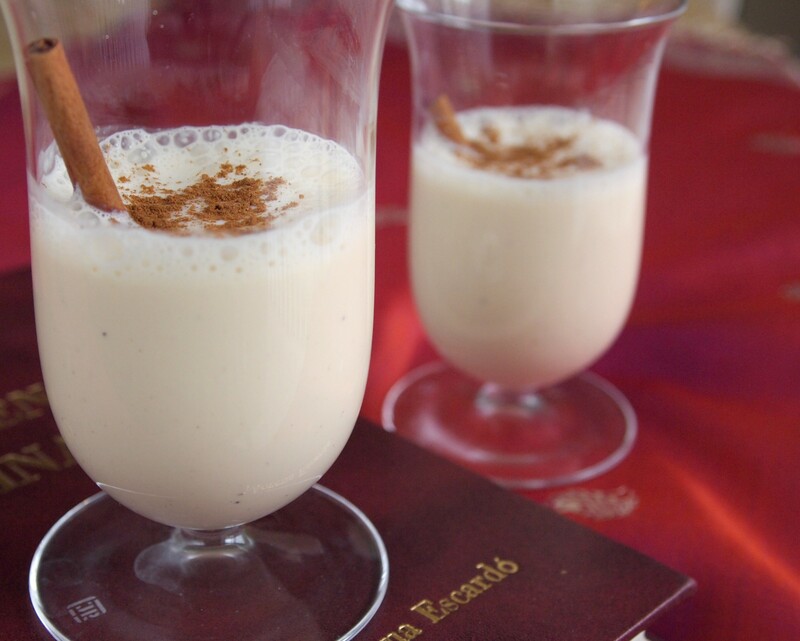 Traditionally, it was made with almonds and cognac, but nowadays Pisco is the spirit of choice. I think that making it with fresh coconut or almond milk would also be a delicious and healthy variation. Maybe next time I´ll do it like that. But for now, I´ll make sure I have a Caspiroleta by my side, to keep me warm and merry this New Years Eve. What about you? Do you have a favorite alcoholic drink for the winter months or for New Years? In a saucepan combine sugar, cinnamon sticks, and milk. Bring to a boil over medium-low heat. 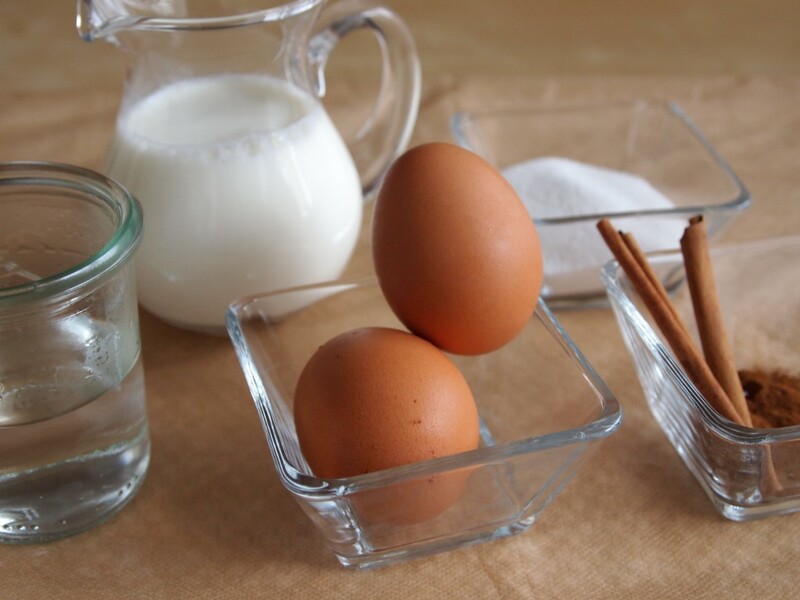 In a bowl, beat the egg white until foamy, add the egg yolks one by one, and pour the boiling milk over the beating eggs, stirring with a spatula. Add Pisco and vanilla. Serve in two glass cups, sprinkle with ground cinnamon, and serve immediately. Salud to the best year yet! 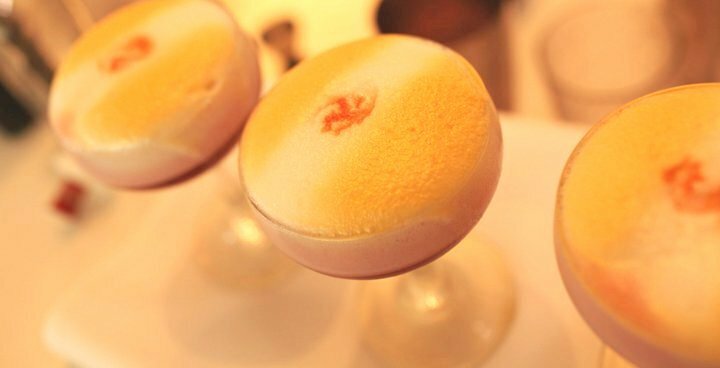 Our Favorite Winter Soups – Download it now for FREE Macchu Pisco Sour contest, Peru’s best high!